We all know about the Big 3 and everyone is aware of the necessary clothes to take on a thru-hike. But no one really talks about the small items that can make or break a person’s will. Sometimes identified as backpacking luxury items, those that rely on them know how much of a necessity they are. Since I was a wee lad I have had a problem with heat. Maybe it’s my part-Irish heritage and inherent lack of melanin. Maybe it’s that I once suffered heat stroke at a young age. It could be a revolt of living in Texas with its ceaseless sultry summer sun. 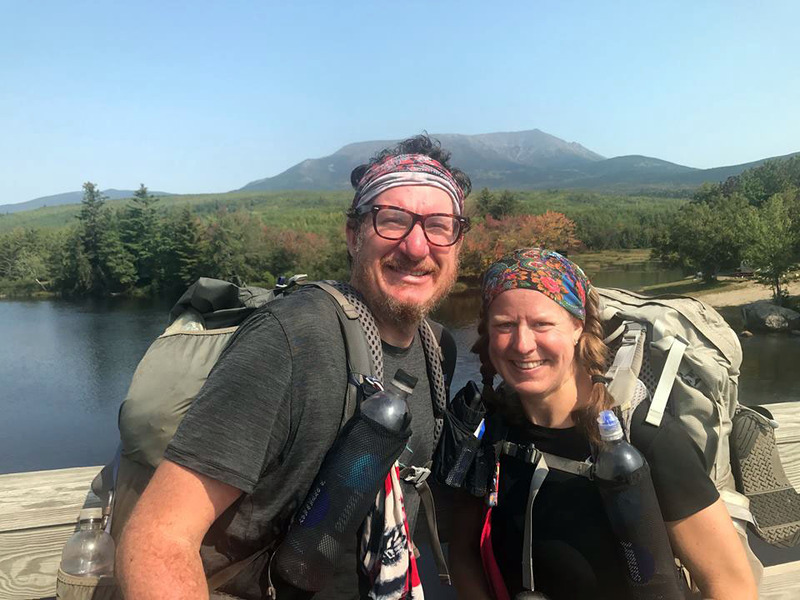 It doesn’t matter the cause because the effect was a lumbering lethargy as we made our miles through New Jersey and New York in the heat of summer. Relief came via one of the viewers of our YouTube channel who sent a message suggesting a Cool Rag, whatever that meant. After a bit of online sleuthing we learned of this amazing piece of material that when wetted down and twirled in the air could be wrapped around a neck to cool the wearer down. Once it warmed up another snap or twirl would re-cool the rag until it became dry (about an hour). I came to love this simple tool, one I had never heard of. There are, of course other strategies to deal with the summer months. Hikers often switch to night-hiking during the summer months. Chica was not interested in stumbling around in the dark, so that was not an option for us. Some get up extra early and nap during the hottest part of the day. We did do this and it helped. All that being said, if you hike 15-20 miles a day in the summer months, you will get hot and a cool rag is a cool tool that can save your sanity. Ok, this is an odd one, but hear me out. The piece of plastic that comes in a window insulation kit can be used a couple of different ways. It is a small sheet of clear plastic and weighs very little. We used it primarily as a barrier between our Therm-a-Rest NeoAir X-Lite Air and the tent floor. While an excellent choice for a sleeping pad, the X-lite is known for being notoriously noisy. Any slight movement from the sleeper sends sounds of rustling throughout the campsite. And since this pad is so common, often it is a chorus of crinkles in the night. We found placing the plastic under our pads, significantly lessens the noise. It seems the sound comes from the friction of the pad against the tent floor as opposed to against our skin. Sanity saved. Through one of the Hiking Facebook pages, Chica met Justin Anderson. He saw hikers having problems reaching their water bottles and designed a wonderful solution. His product attaches to one of the shoulder straps of a backpack and is perfectly sized to fit the Smart Water one-liter bottle. So many have trouble accessing their water bottle when it is in the side pocket that we wanted to try the product out. Even though both Chica and I could get to our bottles OK without it, it turned out to be a piece of gear that we loved and saved our sanity. Read more here about the water bottle holder for a backpack strap or order from: Justin Anderson’s Etsy shop. This accessory was a last-minute purchase and we ended up relying on it for the entire trip as it was a time saver. To use it each guy line threads through a LineLoc3 and the loop is staked down. Now the line can be quickly and easily tensioned or loosened. On our Big Agnes I would stake all three guy lines on each end with one stake. Under extremely windy conditions one could stake out each guy line individually, but we never had a situation where that was necessary. By the time we reached the campsite each night we had been hiking for up to 10 hours and wanted to set up camp as quickly as possible. The LineLoc 3 helped us achieve this objective thus saving a bit of our sanity. For navigating the Appalachian Trail most hikers have a choice to make, carry the Awol AT Guide or install the Guthooks App on their phone. Yes, there are other options available, but these two are the favorites for guidebook and app respectively. Carrying both could be considered a backpacking luxury, although I don’t consider it to be so. Truth be told, not only did we carry both the book and the app, we also had the book in .pdf format for our phone. Even though it was superfluous, having the Guthook app was a sanity saver as it uses GPS to affix your location, usually within feet. A few times we used the app to verify that we were on trail when we hadn’t seen a blaze for a while. A couple of those times we were off trail and were able to easily find our way back. Another way the app is great is in easily getting the mileage remaining for the day’s goal or to see, at a glance, how far you have come—math is hard when you’re tired. The app also gives an elevation profile that I stopped looking at. It was always up, then always down, then up again and down again until the end of the day. Finally, there are the real-time comments on Guthook. These are useful to find out if water sources are flowing, if there is a stealth campsite in the area, or other useful information users deem important to share. One last thing, Guthooks does not require data to operate and it can be used in your phone’s Airplane mode. So, your data is saved, your battery is saved AND your sanity is saved. For our full gear list go here for Sunsets’ gear list and here for Chica’s. There are so many ways to enhance your hiking experience. Sometimes the simplest tool or luxury item can save your sanity on the trail. What is your favorite? Great ideas all. We have already purchased those water bottle holders and love them. I am really surprised some company doesn’t mass produce the bottle holders. They solve a problem and are practical. I just got mine and have a question on attaching to my Osprey Exos 58. Did you attached it at 1 or 2 points. Two points, top and bottom. Great tips Greg! We will definitely be getting the Lineloc3 before heading out again. We are looking forward to living vicariously through you and Jen again next year on the Camino! Being VERY green when we started I am so fortunate that, on a lark, I purchased the LineLocs. I can’t imagine setting my tent up without them now. They make tensioning so easy. 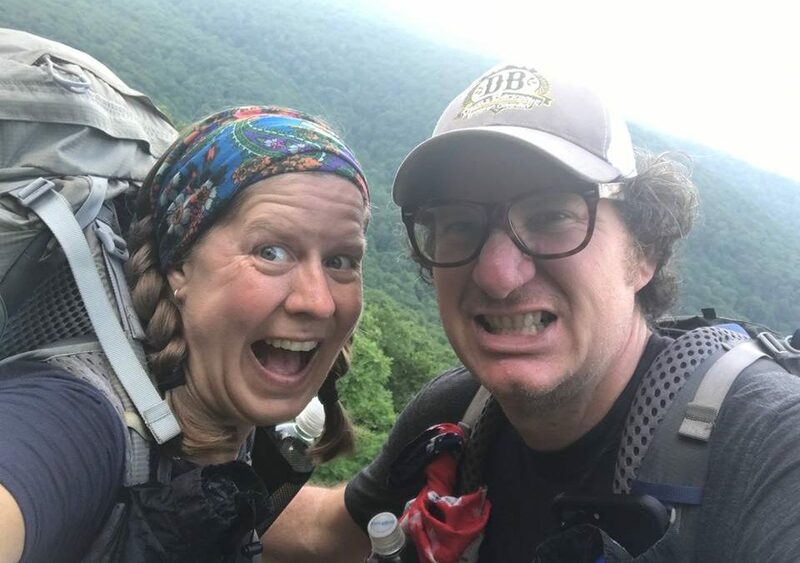 This was so fun to read — even though I have zero intent to actually hike *anywhere* 😉 this was a great little insight into your daily life on the trail, by reading about the things that made that life a little easier. So glad to have you following along. There were a million little things that went into our hike and were trying to share the most helpful of them. Merry Christmas. 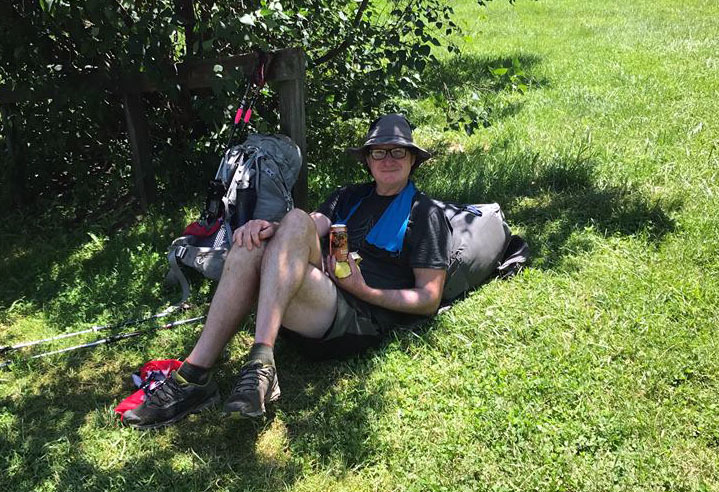 When I hiked on the AT, I wanted to use smart water bottles in lieu of a bladder – I kept a water bottle in each side pocket – but I found an adapter that connected to the bottle, which was attached to a tube and mouth piece. Perfect. The convenience of smart water bottles – converted into a hydration system! Use the contact email in the post, the last sentence of the water bottle chapter. Just purchased those linelocs! Wish I had known about those 10 years ago! Perfect for my tent and hammock set up. Thanks for all the articles and vlogs! Enjoying the articles. I am fairly new to backpacking and was hoping you could do a short video on all the accessories you had on your packs and how they are attached. Like the Zpacks phone bag and the water bottle holders. Thanks for reading and commenting Journeyman. Here is a video that shows attaching the Packs pouch. On many packs there is a D shaped plastic loop that the toggle can be affixed to (as opposed to the way it shows in the vid). Skip to 4:15 to see it attached :https://www.youtube.com/watch?v=2gYJinTr71g.